This seminar is a discussion of pre-circulated material that can be found on the GIDEST website for attendees to view in advance. Radhika Subramaniam presents "Looking for Abu'l Abbas." 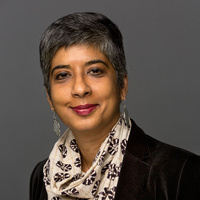 Radhika Subramaniam is a curator, editor and writer with an interdisciplinary practice, and a 2018-2019 GIDEST Fellow. Through exhibition, public art, and texts, she explores the poetics and politics of crises and surprises, particularly urban crowds, walking, cultures of catastrophe, art, and human-animal relationships. For her GIDEST Seminar, Radhika will be presenting on her ongoing project on a medieval elephant embassy. This work-in-progress draws on textual as well as ethnographic and embodied research in Germany, Italy, Tunisia, and India to tell the story—part animal biography, part narrative of migration and human-elephant relationships, and part quest—and to explore the fool’s errand as part of research.